AAA NCNU has been serving our Members and the broader communities for over 100 years and our commitment to ensure traffic safety continues to be core to our mission. We see the transportation and technology revolution as an extraordinary opportunity to provide even more value and generate positive impact to our Members and all consumers. With the ability to test Connected and Automated Vehicle (CAV) and smart infrastructure technologies at GoMentum and deploy them in communities via a range of GoMentum affiliated private-public programs, we can start benefiting communities in the not too distant future. Creating a world-class CV/AV test bed with active industry and government participation. 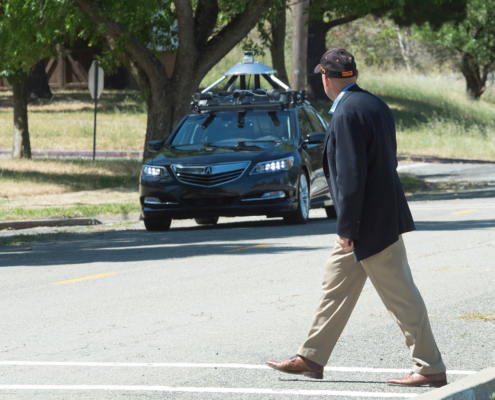 With over 37,000 death on US roads each year, CAV technology presents an opportunity to potentially save many lives from traffic accidents. AAA NCNU sees GoMentum Station as a critical part to our mission and playing a crucial role to achieving our ultimate goal of advancing traffic safety toward zero fatalities and revolutionizing mobility for the next hundred years.